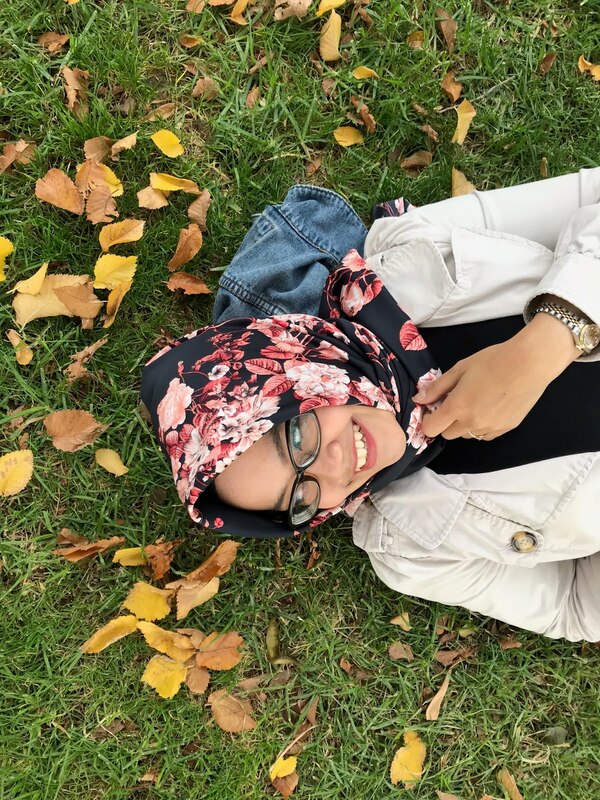 I finally finished writing this review! It's a little bit late but yeah, why not? 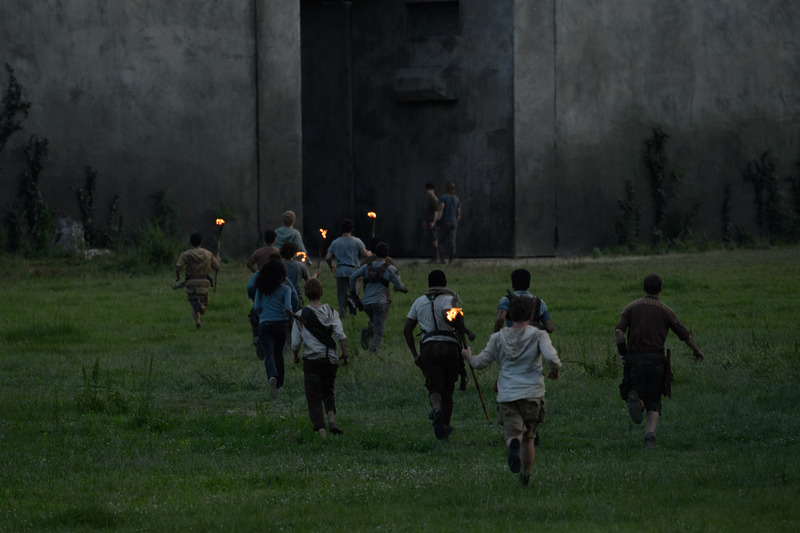 In my country, The Maze Runner came 2 days earlier than in US. I have no idea why but it really made me happy because I can't wait any longer! I already watch this movie for 4 times now but hey don't blame me, I enjoy watching movies! As you all know, I really love the book and for me, it honestly beat the Hunger Games and Divergent series but still, I like them. I love reading and series is one of my favorites. Since the trailer came out, I aware that I shouldn't put so much expectations because based on previous book to movie, there's always things that really disappointing. Even thou still deep in my heart as a huge fan of fiction books, I really hope that this movie have less disappointment. One statement: this movie succeed! The action or running sequences are very intense with the help of the decent soundtrack. The visuals are really good but the one thing that stood out for me in this film is the sound effects! The eerie sounds of the Grievers are terrifying and so well made that I still think of the roars at night! I really overwhelmed by the fear this movie gave to me! I was pleasantly surprised because the main setting is exactly what I imagined when I read the book! I don't understand how and why, but it is! The Grievers are also the same with how I imagined the creepy spider robot on the book, how it has eerie sound! The director, Wes Ball really knows how to bring tension into this film especially in the chase and Griever sequences were you feel a lot of awe and suspense as you watch the characters run in and around corners from the Grievers and the maze itself. The audience is plunged into darkness as the film starts. Coupled with the shaky camera, flashing lights and clanking of machinery, the film attempts to make the audience feel Thomas' disorientation and fear. The actors are really good choice too! I really like how Dylan O'Brien portrayed Thomas perfectly, I can't think there's better actor to play Thomas than him. Kaya Scodelario who played Teresa is a perfect choice too! Can we talk about how handsome Thomas Brodie Sangster in this movie as Newt? Holy Sangster! I feel like grow up together with him since Nanny McPhee until Game of Thrones but OMG, I really like how he is really charming in this movie. He is the exactly how I imagined Newt on my own imagination. Actually, I really like those actors because basically they portrayed every character well. In the book, Gally, played by Will Poulter, is like super annoying and mean but in the movie... he is not mean at all. Okay he's a bit rude but please, he's just following the rules! I wished Gally is the same person as the book, it would be better. He is one of those things that make Thomas afraid being in a maze. The person that really annoys Thomas. The person that should be a villain in the Glade. Despite my complaints, The Maze Runner isn't a bad movie. Like I said, this movie is great but not to the point where it is amazing or even astonishing and let me add reviews on top of the impeccable first half every actor does a fantastic job. The action scenes are well shot and suspenseful, and the fantastic score only adds to the excitement. The CGI looks fantastic! 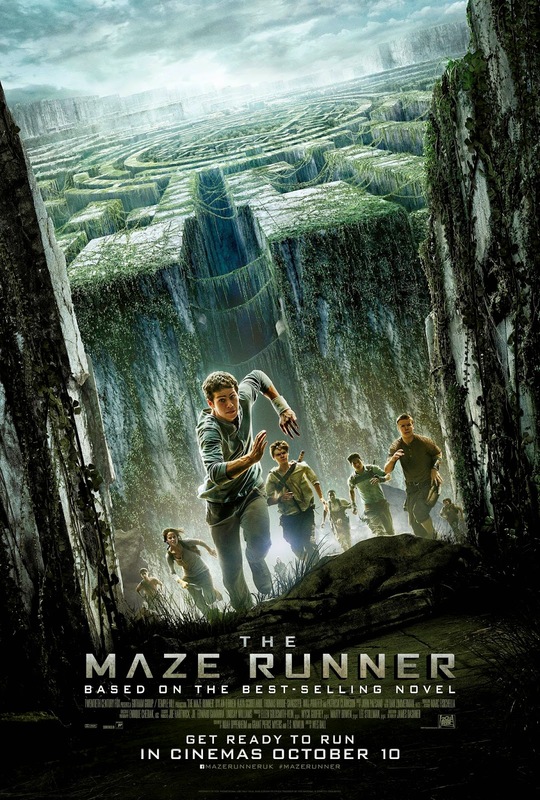 The Maze Runner definitely has it's problems, but the good portions of the movie are so good that I might consider it worth going and seeing in theaters, as well worth the wait for the DVD or Blu-ray. Nevertheless, The Maze Runner remains quite an accomplishment. It's an assured, impressive debut for Wes Ball. His young cast is fully capable of carrying their own weight. Its story collapses a little into itself as it hurtles towards its climax, but Ball's work is quite enough to leave viewers excited by the prospect of the inevitable sequel.